The new Aqua-Star 65’ combination of the Aqua-Star non slamming hull with long range capability in comfort and “Ken Freivokh” design and innovative layout with many ingenious features are put into the little ship look. 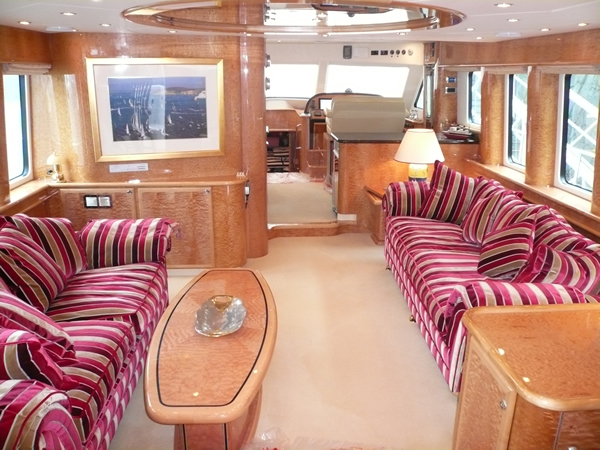 So attractive in this new 65’ craft, unmistakable once on board from the large aft deck, suitable for free-standing furniture and alfresco dining to her palatial interior with her one level saloon unrivalled amongst her contemporaries. 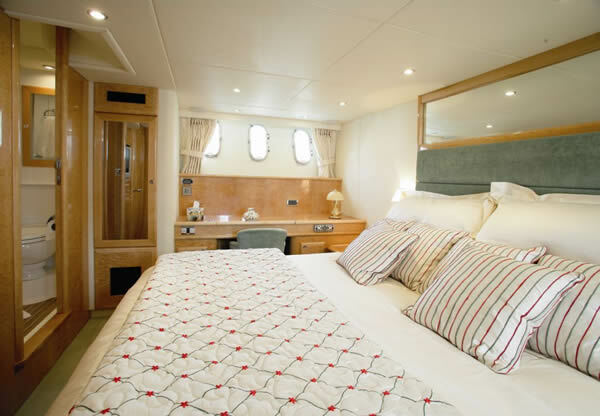 The advantage of the aft cabin layout is the owner set away from guest cabins for privacy, the aft cabin double berth is facing aft so a flick of a switch in the morning opens up the panoramic view through the transom windows, a three cabin forward layout is allowed for, plus optional crew cabin. Superior hand crafted from bow to stern this new model to the range sits well between the Aqua-Star 47’ and flagship 74’. 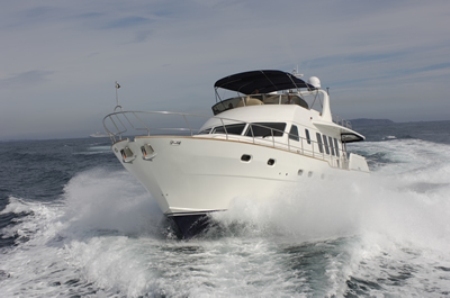 Are your thoughts in line with the following: – We have enjoyed weekends and annual holiday boating but the time has come to really enjoy ourselves and extended cruising is now our dream. The time has come to turn the dream into reality. We shall require an exceptional well found craft with a tough pedigree built by mariners who know how to satisfy professionals, she will have ‘pace and grace’ without the need for daily refuelling like a planing hull. She will require 1500 gallon fuel tanks for long range without refuelling, she will require a walk-in engine room, she will have a bow thrusters, good water capacity, she will be fitted out to the best joiners’ art in modern boat building. She will have a galley and optional laundry room you would be proud of at home. 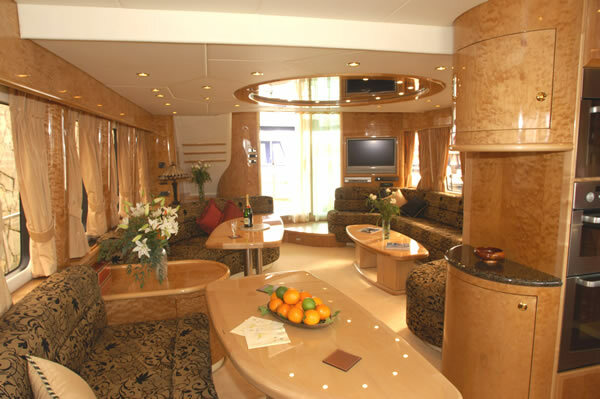 She will have comfortable guest cabins when your friends join you, indeed she will be your sea born home. 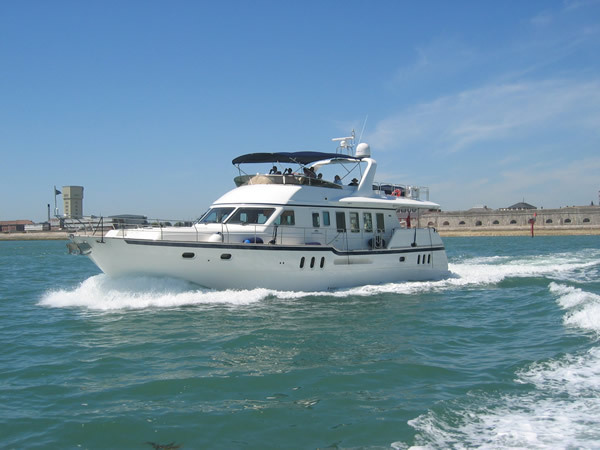 Now such a craft is available, built by Aqua-Star in the Channel Islands for yachtsmen with exploration and adventure in mind. The Aqua-Star Explorer 65’ is designed to cruise the oceans of the world, for exploring Scandinavia, the Greek Islands, the great lakes of the Americas and the Caribbean. 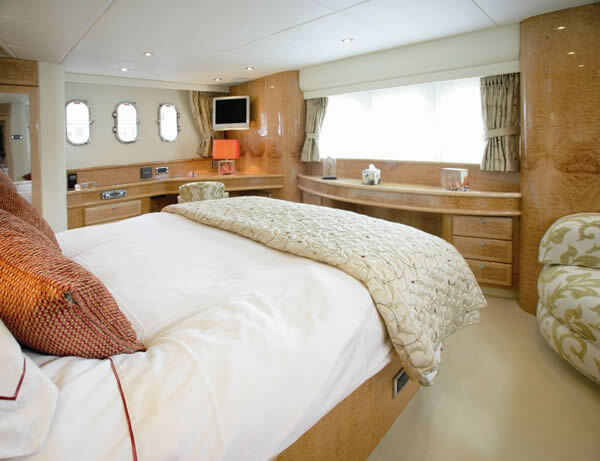 The Aqua-Star Explorer 65’ will do it in style and comfort. The design feature of the hull is a keel below the propeller so when exploring new cruiser grounds one has a built in safety feature. The keel also helps on directional stability, the transom detail has been designed to give considerable fuel saving over other hulls on the market and is a reason for many professionals successfully choosing the Aqua-Star hull form. 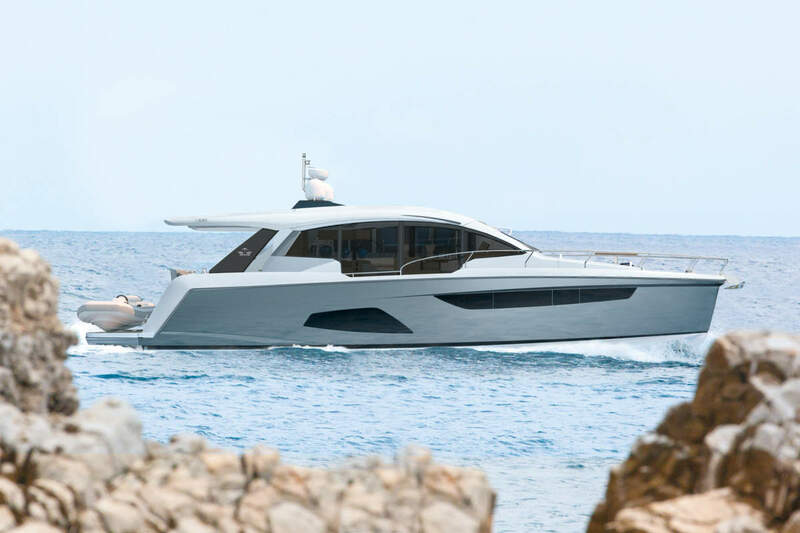 The attention to detail sets the Aqua-Star 65’ above the rest starting from the scale model which was first produced to evaluate and test the outstanding concept, then we set our attention to all aspects of the design and construction. 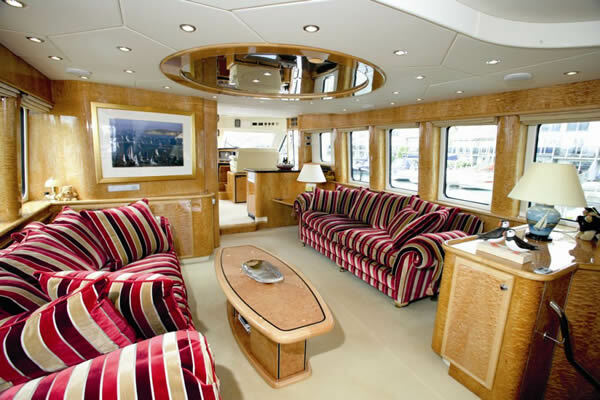 An insulated hull and deck, with standard equipment including; built in passerelle and dinghy lift crane to store the dinghy clear on the stern platform, bow thrusters, stern aft quality built in fairlead rollers. Unsurpassed build quality and a seductive line with such grace and pace one cannot help but feel anything less than an Aqua-Star 65’ Explorer would not fulfil one’s expectations with the impressive aft-cabin with stern windows, skylounge saloon seating, spacious Flybridge, a galley that is a chef’s dream and more features than this brief can portray. 40 years of experience in well built GRP craft, the Aqua-Star Guernsey boatyard with continuous dedicated management and a past background as diverse as building the UK’s largest GRP trawlers with 25 ton wet fish/hold tanks in the 1970’s, to 81’ maxi yachts with 20 ton keels and 50 ton displacement which plough the oceans of the world in the 1980’s developing strong engineering knowledge. Second nature to us is dividing the craft up into five water tight bulkheads, engine room with water tight doors, proper bilge pumping arrangement and extra strong hulls. Working with interior designers like Ken Freivokh the yard is capable of crafting the best tradition style interiors as the most modern. 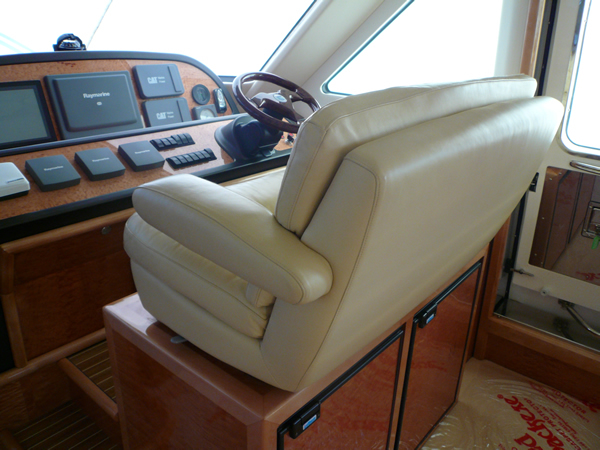 The know-how acquired in the field above has been transferred to today’s Aqua-Stars 65’ cruisers. 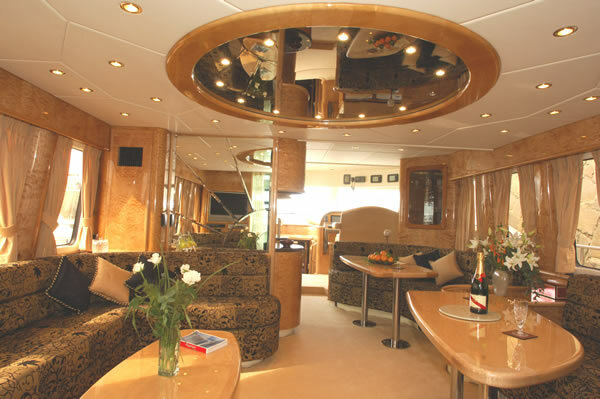 The passion for the last 15 years is building prestigious motor yachts with elegance for enjoyment and freedom. A sea going lifestyle unequalled in today’s mass produced world built by people who understand the sea, winning accolades for best quality fit out and good design. British Nautical Awards ‘Best Motor Yacht of the Year’ builder. 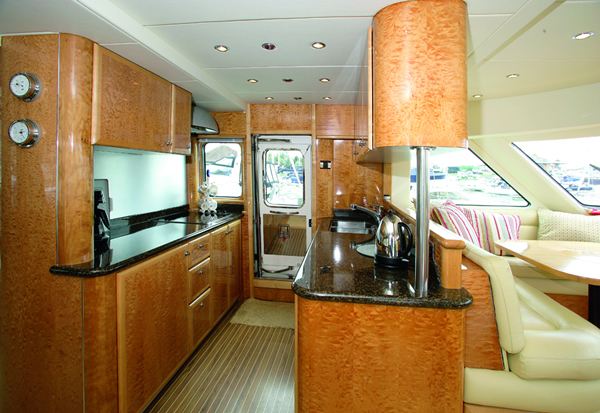 The fit out is well designed and engineered with a walk in engine room so the floor of the saloon does not have to be taken up to do engine checks. 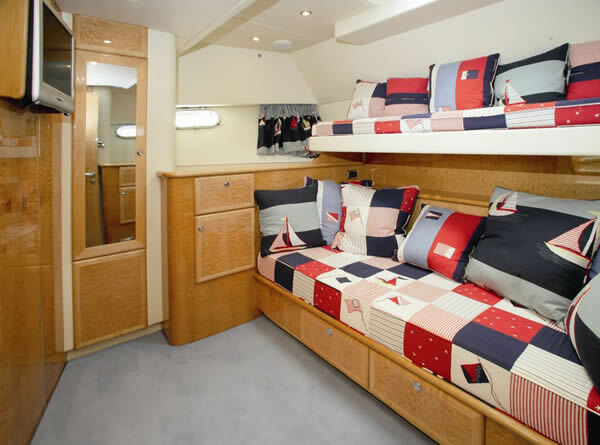 There is a small work bench with fitted vice and place for engine spares and oils, etc., for orderly stowage, also laundry room, with the hydraulic bow and stern thrusters option one can set the thrusters to keep the craft alongside the quay while the owner moors up.